Occasionally you find yourself unable to exit a program on your Mac. If this happens you need to press the Command, Option and Escape keys all at the same time. 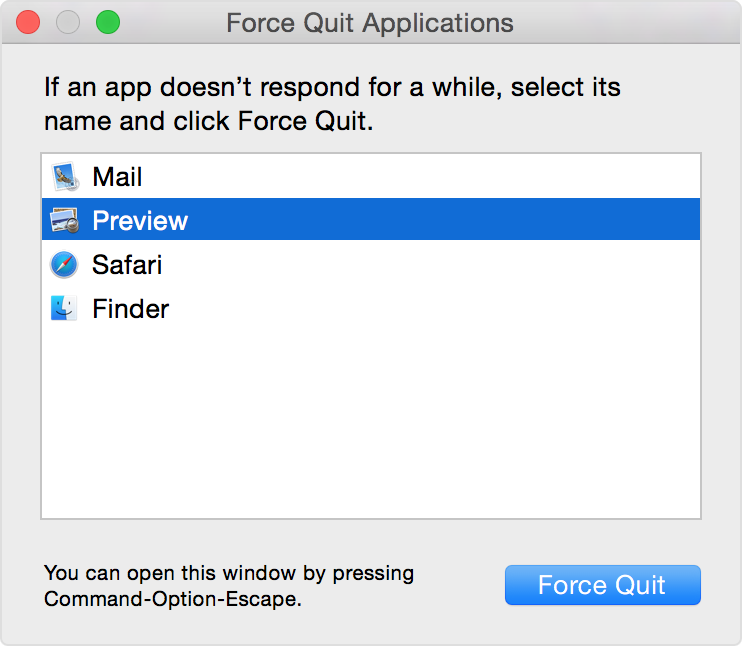 This will bring up the Force Quit dialog box, which shows you all the applications that are currently running and allow you to forcefully terminate them.